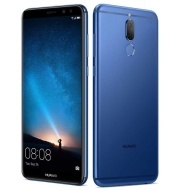 alaTest ha raccolto ed analizzato 12 recensioni su Huawei Honor 9N / 9i. La media della valutazione per questo prodotto è 4.1/5, confrontata con la media della valutazione di 4.1/5 per altri Cellulari. Le persone rispondono positivamente alla schermo e design ma si riscontrano valutazioni differenti riguardo la fotocamera. La performance ha ottenuto valutazioni negative. Abbiamo analizzato differenti valutazioni di esperti ed utenti, età del prodotto ed altri elementi. A confronto con altri Cellulari, Huawei Honor 9N / 9i ha ottenuto un alaScore™ complessivo di 91/100 = qualità Eccellente. The Honor 9N goes up against the Asus ZenFone Max Pro and the Moto G6 which are both very compelling. While Oppo and Vivo still believe that a market for selfie-centric smartphone exists there are others like Huawei, which believe that a smartphone needs to be an all-rounder and have a great selfie camera as a bonus. Honor 9N review: Honor 9N is a good mid-range smartphone and most people who are planning to buy one will not regret their decision. Honor 9i is an excellent proposition for people looking for a decent mid-budget phone with a great camera. The Honor 9i has a lot going for it, but it isn't without a few shortcomings. The Huawei Honor 9i is the first phone in India to offer four cameras and an FHD+ display. Though it is not the best sub-20K option available today, it comes very close.